Ethiopia and Eritrea would soon open four commercial checkpoints to monitor and regulate cross border trade between the two countries, according to the Ethiopian Customs Commission. The Commission has also prepared a commercial transit protocol, which has been referred to the relevant body at the Ministry of Foreign Affairs, the Ethiopian News Agency quoted Mulugeta Beyene, deputy commissioner as saying. The commercial transit protocol would soon become a law and would help the regulation of commercial activities and import-export trade between the two countries, according to Mr. Beyene. 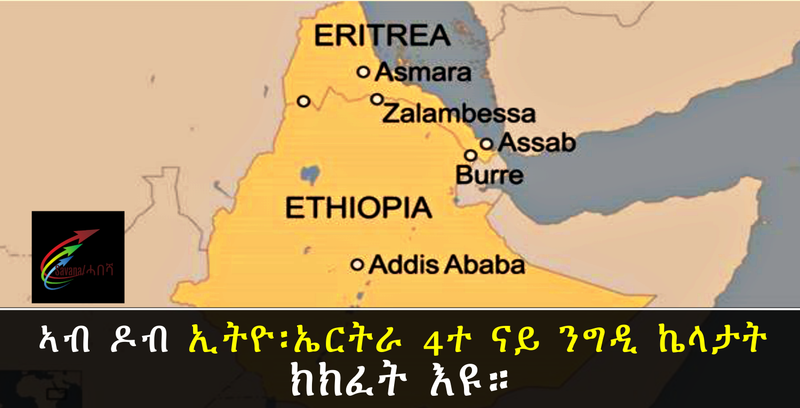 Ethiopia and Eritrea reopened their common borders at three fronts after a two decades enmity ended in July 2018 when the two countries signed a peace declaration. The western border, Humera in Ethiopia and Oum Hajer in Eritrea, was reopened last week in the presence of the leaders of the two countries. Ethiopian Prime Minister Abiy Ahmed and Eritrean President Isaias Afwerki had also presided over the opening of the Zalambessa and Bure fronts in September. But the Zalambessa front has been closed since last month until customs and other formalities had been completed. The report said two of the four commercial checkpoints would be on Zalambessa and Rama. According to a peace declaration signed in July, Ethiopia and Eritrea agreed to resume commerce and transportation, in addition to the resumption of diplomatic relations.